Ah, Koolance! My journey into custom watercooling began with one of their CPU water blocks, the CPU-380I to be specific, and it remains a part of my collection even to this day. 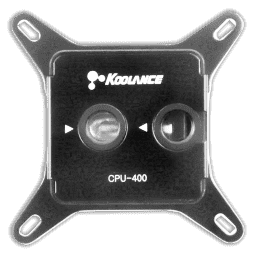 As with other companies, Koolance has since revised and released newer versions, including the CPU-390I I had examined on release, and it seemed fitting to be able to do so again with their latest and greatest. Koolance is unlike most other brands in that they deal a lot with industrial customers, with the consumer market getting products few and far between. This does not mean they do nothing in the interim, however, with their products coming out when they deem it appropriate and competing right at the top of the performance charts. We put their new CPU block to the test today, and thanks again to Koolance for providing a review sample. 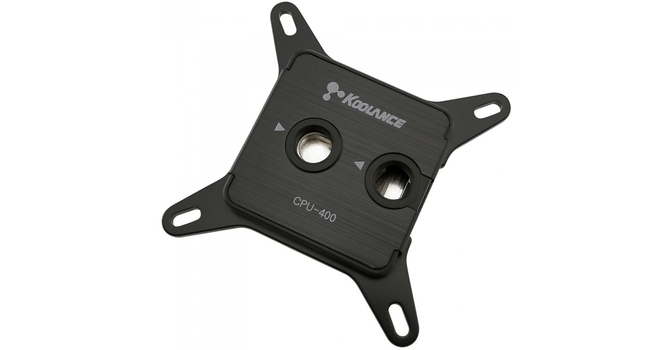 No surprise when it comes to the name since the new CPU-400I from Koolance is the update to their previous CPU water block. Unlike the CPU-390I, however, Koolance no longer has the option to go with an acrylic top and instead only provides a single opaque top version. This comes in both Intel and AMD flavors to be purchased separately, with the "I" in the name indicating the Intel socket version here. With a predominantly black color scheme, Koolance is looking to let the product blend in well with just about any watercooling build, and we will take a closer look at this—both inside and out—as we begin the review with a look at the specifications below.